Shadows: Heretic Kingdom - PC Games Trainer and Cheat Codes. Shadows: Heretic Kingdoms is the next chapter of the Heretic Kingdoms saga. The Action-RPG is produced by Games Farm and published by bitComposer Games for release in Q4 2014. Set a few years after the events of Kult: Heretic Kingdoms, players are caught up in a terrible conspiracy and propelled upon an epic journey through a world of dark fantasy. Epic battles and unexpected plot twists await those brave enough to rise to the challenge! Take control of the Devourer, a demon that swallows the souls of the dead and brings them back into the mortal realm as puppets. But is the demon their master – or their servant? The Early Access version of the action RPG Shadows: Heretic Kingdoms has already met with extremely positive feedback from players and the media alike. For this reason, the German publisher, bitComposer, and the developers at Games Farm have agreed to invest additional development time into this exceptional title. 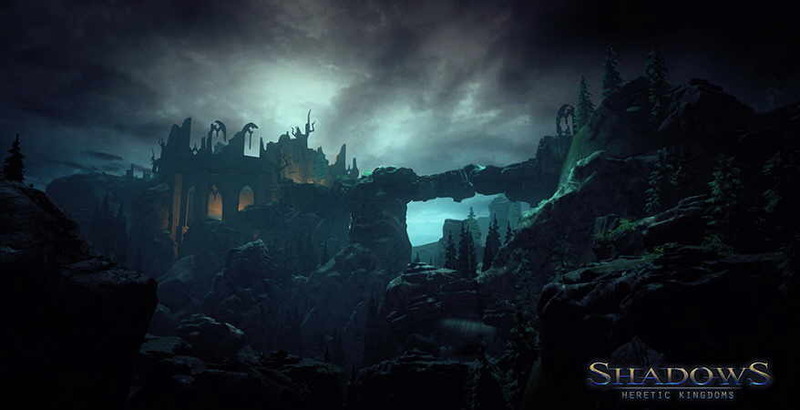 Shadows: Heretic Kingdoms is an action RPG to be released on PC in 2014. The isometric game is developed by the Slovakian studio Games Farm, formerly known as 3D People, and published by bitComposer Games. The predecessor of Shadows is Kult: Heretic Kingdoms published in 2004. Trainer for the game Shadows: Heretic Kingdom, you can use it to activate these essential Cheat Codes: UNLIMITED HEALTH, UNLIMITED SILVER, UNLIMITED SKILL POINTS, NO COOLDOWNS, UNLIMITED SOULS, EASY KILLS, ADD MOVEMENT SPEED (Max: 1500), DECREASE MOVEMENT SPEED (Min: 500), ADD XP. Note: This cheat tool is for the original version v1.0.0.7727 (Early Access) of the game Shadows: Heretic Kingdom.